$35 per year for club dues. Individual Coaching available. Price per request. 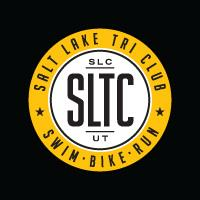 The Salt Lake Triathlon Club was created to promote triathlon in the Salt Lake community–while fostering a sense of unity, fun and a healthy lifestyle. We're a team but more importantly, we're a family. We welcome any level of experience, whether you're setting your sights on your first-ever race or you're a seasoned athlete. We'll provide opportunities to meet fellow athletes and find training buddies. Together, we'll build an extensive support network–to boost each other up and give back to our community and our sport. We'll arrange discounts on race fees and at partner retailers too. Because, hey we're all in this together. Success. Coach Salt Lake Tri Club has been notified of your message.